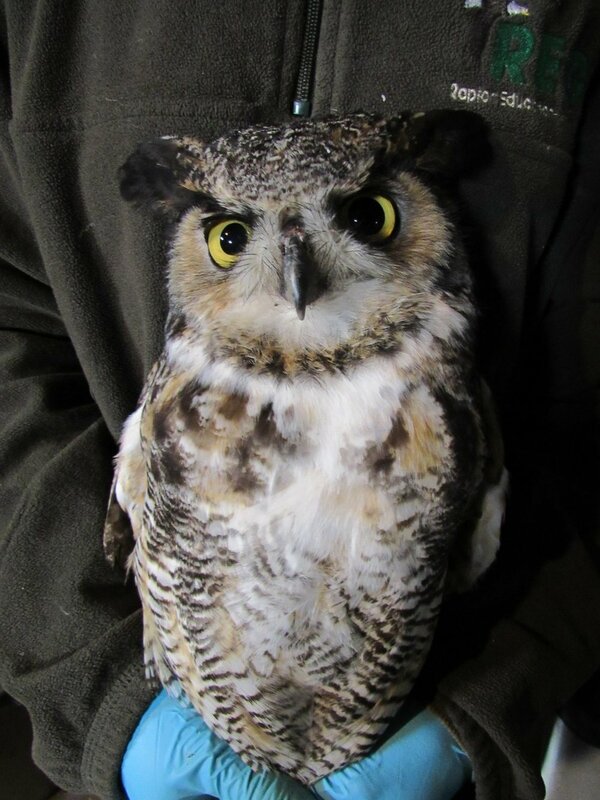 Owls Admitted Due to Starvation — Raptor Education Group, Inc.
A few weeks ago I posted about the many owls admitted to our facility with starvation. The cause was ice layers between the snow that prevented owls from snow plunging which is their method of hunting rodents During that period, we admitted 12 Barred Owls, 4 Screech owls, 2 Great-horned owls and a Saw-whet owl. We are delighted that all of those owls patients lived and are recovering. During the past few days more starving owls as well as other species from Bald eagles to Pied-billed grebes and baby Mourning doves have been flowing through our doors. 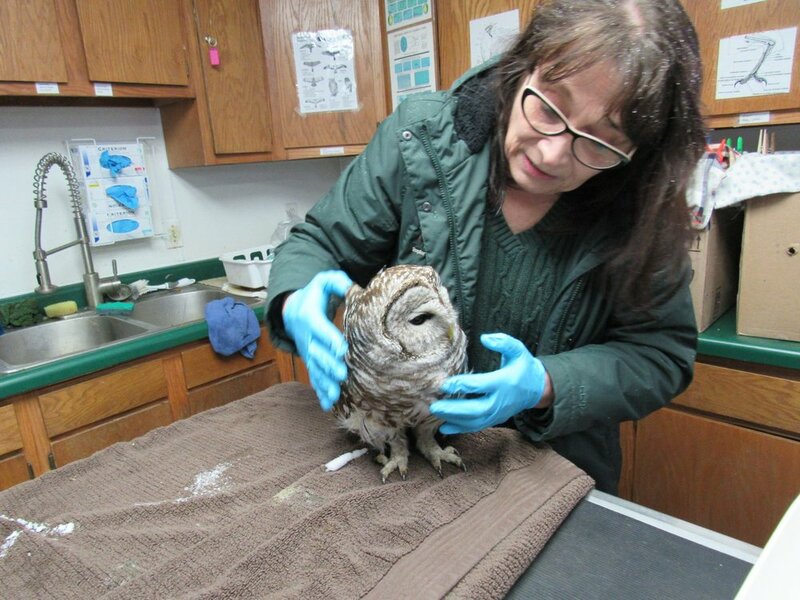 The most recent owls in particular, are in very critical condition. We are trying our best, but have lost 2 of the recent admits at this time. Our weather remains "unseasonable" i.e. very cold. We continue to have deep snow, ice storms and frigid temperatures. Weather reports warn of a weekend of heavy snowfall. This is not good for recent avian migrants that are expecting a more moderated "spring" rather than winter conditions. Please keep your feeders clean and well stocked.